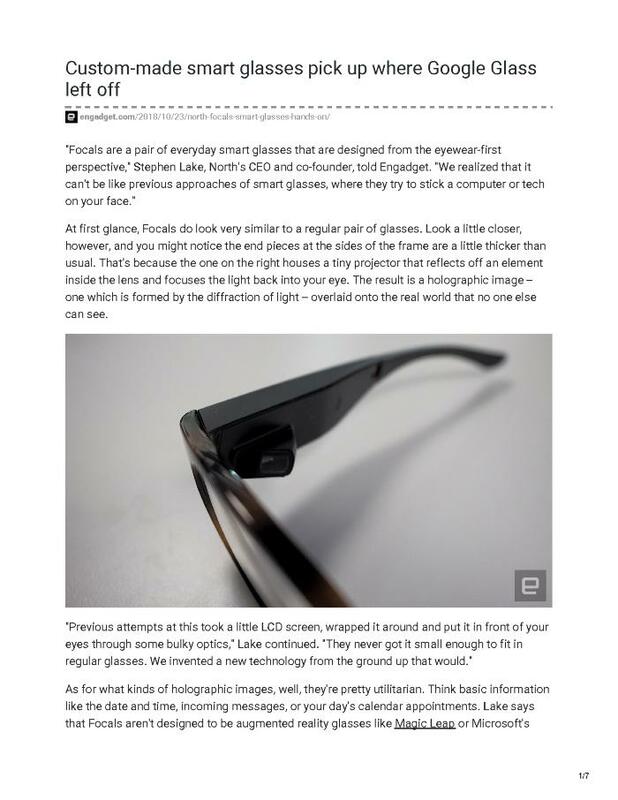 Lake says that Focals aren't designed to be augmented reality glasses like Magic Leap or Microsoft's HoloLens -- you're not going to use these for gaming or project collaboration. In fact, Focals aren't designed for big images at all. Instead, Focals are for normal, ordinary use; sort of like a heads-up display for everyday life.